High School Biology Tutor Perth | Biology has long been thought of as one of the easier sciences. Looking for a High School Biology Tutor? Perth students rely on My Academy for Biology and Human biology tuition knowledge. Many of the words are unpronounceable and can be the cause of many students finding Biology tricky. At My Academy the accredited tutors are able to break down the concepts in both Biology and Human Biology in 1 on 1 sessions and help make Biology as fun and as interesting as it is intended to be. During Biology tuition sessions, the aim is to ensure that students understand concepts thoroughly, so as to achieve the highest grades possible. Biology is a very visual subject and using drawings and images can help with remembering complex ideas in study notes. Our accredited tutors are able to demonstrate aspects of Biology and Human Biology which are more practical or complex in nature, while incorporating additional questions to expand and enhance understanding. Biology often generates many questions that do not always get answered during classes. Through discussions our Biology and Human Biology tutors are able to answer any questions that may have arisen, give clarity to difficult points and discuss interesting topics in a greater depth. This in turn will lead to improved understanding and grades. Many students encounter the same problem: they study intensely for days or even weeks before an exam, but their grade does not reflect their effort. The reason may lie in the kind of effort—the “how” of studying, as opposed to “how much.” Biology courses include a great deal of factual material. However, rote memorisation of all the facts will not produce a thorough understanding, nor will it produce a good grade on an exam. You will need to be able to think about the material and synthesise various concepts and facts in order to do well on the exams. Our accredited Biology tutors are able to break down the concepts so that all students understand the concepts and are able to apply them to any questions within an exam. To follow a process of effective learning of Biology you need to master the general concepts before being able to tackle specific ones. For example, you need to understand the factors to identify a mammal before you can start the factors that identify a primate. 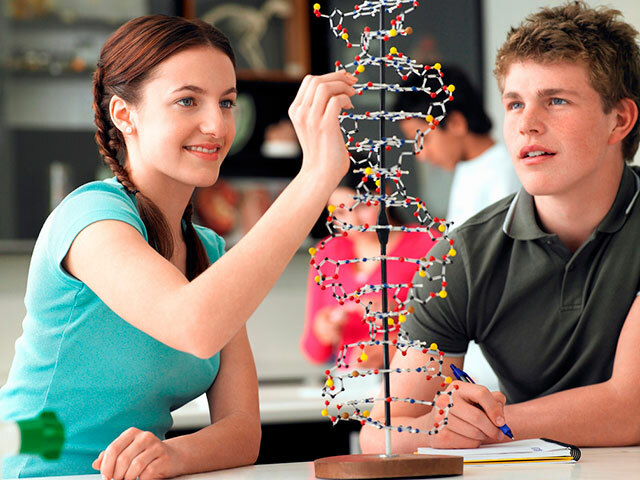 The My Academy high school Biology tutors have a very good knowledge of the current Biology and Human Biology curriculums and are happy to work alongside the order of the school’s curriculum to make sure that all students are confident with the processes before moving to the next level. Why is biology/human biology so complicated? One of the hardest parts of studying Biology is remembering the many different terms. In order to fully understand what you are studying it is really important to fully familiarise yourself with the terminology used. Our Accredited Biology and Human Biology tutors are able to break down the terms for you and explain their origins to give you a thorough understanding.